Urothelial carcinoma, also known as transitional cell carcinoma, is a cancerous tumor of the bladder which can spread to other parts of the body. The urothelium comprises of the lining on the inside of the bladder, urethra, and ureters. It also consists of the renal pelvis. All those comprise of the urothelial cells, or transitional cells. Urothelial carcinoma is the most widespread bladder cancer. It comprises over 90% of all bladder cancers. 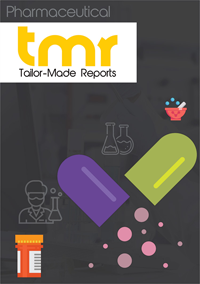 The global urothelial cancer drugs market is expected to rise at a solid pace in the next couple of years with solid competition among players and the rising cases of the malignant malady. Already, nimble players are seen taking the collaboration route for development of therapies and drugs. This would likely make the global urothelial cancer drugs market crowded with new products in the next couple of years. Mainly fuelling the global urothelial cancer drugs market is the emergence and popularity of targeted therapy. This is expected to have a major positive impact on the market in the next couple of years as well. The rapid strides made in drug targeting techniques have allowed physicians to inject drugs directly on to the bladder containing tumors. This prevents side effects of the drugs on adjacent healthy cells. Going forward, the global urothelial cancer drugs market is predicted to see growth because of the disease progression and high recurrence rates in patients with aggressive carcinoma in-situ (CIS) classification. In the near future, the global urothelial cancer drugs market would also be boosted with better therapies being approved by prominent drug regulatory organizations. Several novel treatments are predicted to see approvals thereby further spelling opportunity for the market. Already, TECENTRIQ and OPDIVO, which are the PD-L1 inhibitors, are set to impact the market dynamics positively with their approval by the US FDA. Better knowledge about tumor immunology will likely help drug to formulate more such effective therapies in the global urothelial cancer drugs market. The different therapies used in the global urothelial cancer drugs market are chemotherapy, intravesical therapy, and preservation therapy. Among those, chemotherapy finds application in treating invasive cancer and reducing the rate at which it spreads. In chemotherapy, adjuvant chemotherapy and neoadjuvant chemotherapy currently generate most of the revenue in the market owing to an alarming rise in cases of bladder cancer and the rising uptake of chemotherapy to treat the same. From a geographical standpoint, North America at present is a prominent contributor to revenue in the urothelial cancer drugs market. Though the market in the region is somewhat saturated and would likely rise at a slow pace in the next couple of years, it would still retain its key position. This is because of the exhaustive research on developing targeted therapies by well-established vendors domiciled in the region. Some of those are Merck and Pfizer. The U.S. is said to be mainly powering the growth in the North America urothelial cancer drugs market. Besides, Germany and Japan in Europe and Asia Pacific, respectively are other major contributors to the global urothelial cancer drugs market. The presence of a sizeable proportion of the target population, high uptake of novel therapies, and several product launches lined up by vendors in the nations. Some of the key players operating in the global urothelial cancer drugs market are Roche, AstraZeneca, Merck, Pfizer, and Bristol-Myers Squibb.